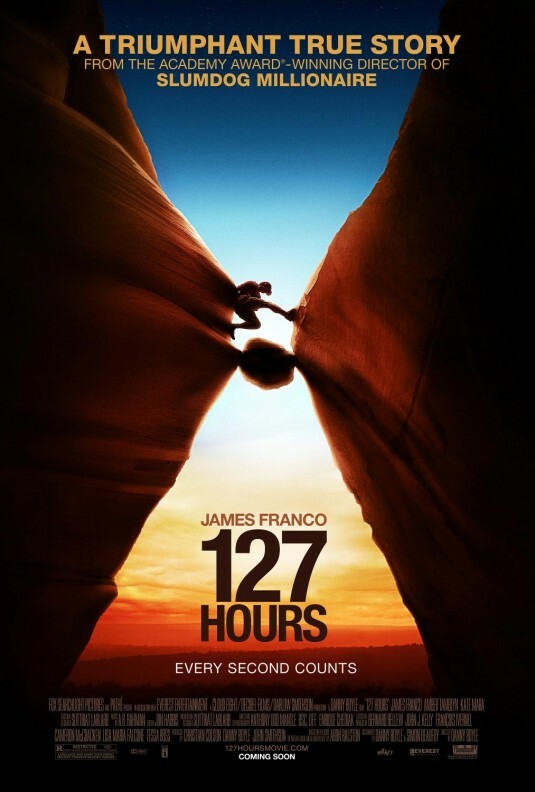 127 Hours as a film was always going to be harrowing, intense, remarkable, hard to watch and so on. Aron Ralston’s story is just too astonishing and too simple for it not to be effective. It absolutely insists on empathy and as the audience filters out of the theater, the first and only question on everyone’s lips will be, “Could you do that?” If you don’t know what “that” is then you haven’t been paying attention. Ralston’s story has been all over the news in recent weeks, and before that his bestseller Between a Rock and a Hard Place did well enough to pierce the social consciousness. However, to avoid from the start any ambiguity, this is a story about a man whose arm gets trapped under a rock, and the choice he makes to cut it off. With any Top 25 Director and any Top 10 Face behind this story, you’re almost guaranteed serious Oscar contention. It must be for this reason then that I ended up feeling underwhelmed by Danny Boyle’s latest. Of course I was moved, because the reality of this situation is moving, but despite how successful this thing was always going to be, Danny Boyle somehow was able to get in his own way. His style and his choices, so often exciting and strong, end up being frustratingly omnipresent and controlling. Somehow he ended up over-telling a story that was fully prepared to tell itself. I never read Eat Pray Love. It never seemed like a book written for me. Vaguely, my understanding of the novel was as one written by a woman and for women. A self-help memoir for the divorced. Now that I’ve seen the book’s celluloid abridgement my notions have been, to an extent altered. 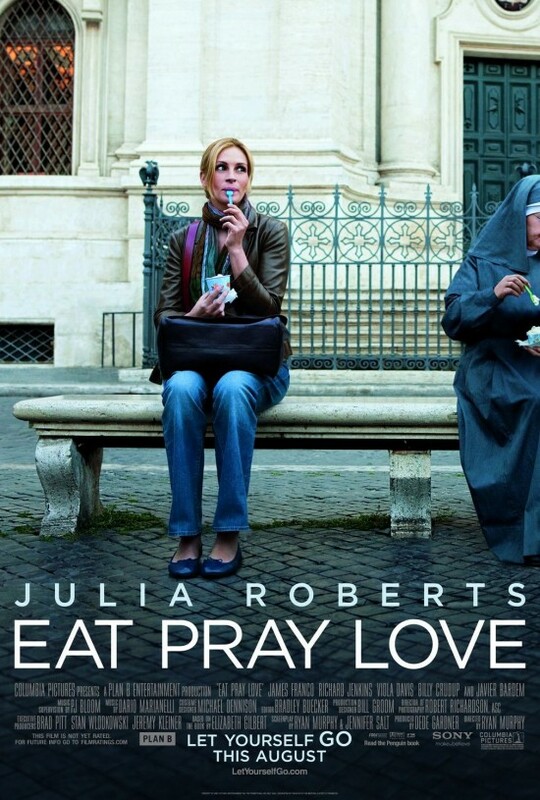 Not entirely, for this is still a story about mending a broken heart and Elizabeth Gilbert (Julia Roberts) surely begins that process with the old standby of eating mass quantities of food. But to say my vague awareness of this incredibly popular book was on point would discount the deeper ideas present in this story. Gilbert (with help from director and screenwriter Ryan Murphy) isn’t just moaning about her losses. She’s giving an account of an adventure she had; a journey to the center of her soul. It’s not perfect, with moments of cloying joy that don’t feel real enough, but it’s all true, and it represents a search as eternal as any. Whether recently divorced or recently preadolescent, we are all of us looking for our place in the world, and we are all of us praying that it will bring with it some love. Ahhh, the pot movie. The stoner flick. Such a well-traversed and easily discounted genre. The luxury of these features is that the expectations are never very high. Even for comedy, the writers/producers/directors of a movie about weed are generally held to a pretty light standard. There’s a built in audience and that audience isn’t always the most discerning. 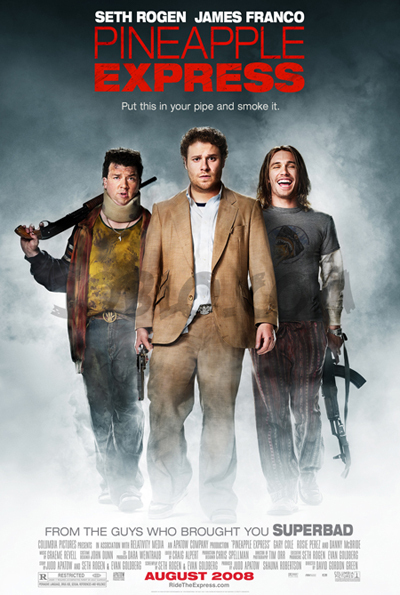 Nonetheless, Pineapple Express strives to be among those few standouts of the genre. Up in Smoke, Dazed and Confused, Friday, Harold and Kumar, and Pineapple Express? Sure, why not.